Thats when I started training with JRC. Straight away I felt motivated as I started to receive my weekly training plans. Some of the sessions were really tough but I loved the fact they were varied and specifically tailored to my needs and the time I had available to train each week. I saw myself starting to progress and started to feel more confident I could get where I needed to be by April. The season started and straight away I was getting PBs. I continued to progress throughout the season and was so pleased with my progress. JRC supported me really well, taking on board all the feedback I provided from every training session and race and tailoring my training and giving support and advice to help me. We worked on warm up routines too and race preparation etc. 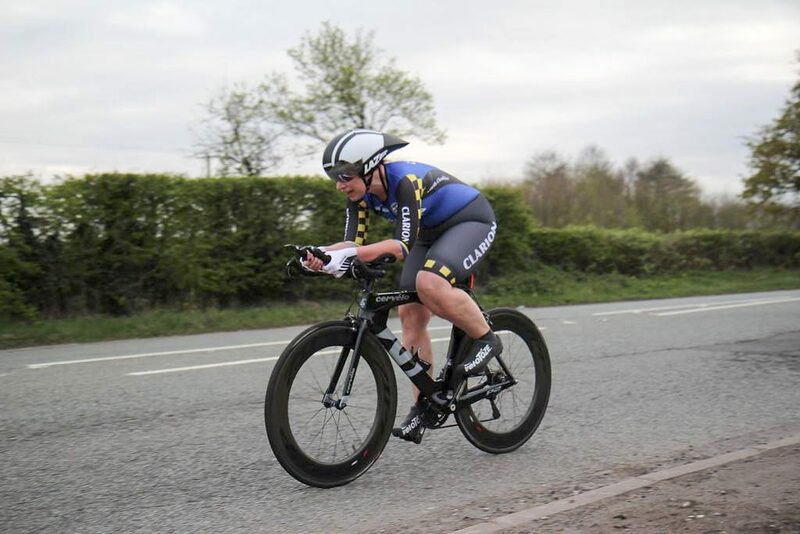 A PB on every 10mile and 25mile TT course! 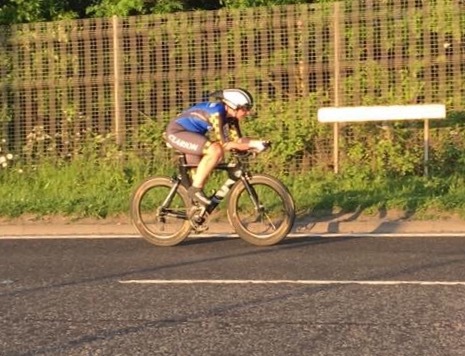 Taking my cycling club record for the fastest 10mile time trial for the ladies! It was an awesome season where I learnt so much, progressed significantly and achieved everything I set out to achieve and more! I’m looking forward to setting my next season goals now. I’ll have more time this year to train through the winter and am confident that by working with JRC I can continue to progress and go on to achieve my next goals in 2018. So it all started for me in October 2016. After an on/off summer and struggling with my weight, I was determined to get some good winter training in and needed to do some long steady rides. Unfortunately that is when the trouble started, the colds came one after the other, so most of the winter months were spent on the bike and off it. I had a word with James and we agreed to set up a plan, building up to my overall goal of being able to ride like a grand tour rider, riding over a period of a few weeks, not just an odd day or sportive. So I set about riding at level 1 for 8 weeks (it nearly killed me ) to kick start my base training, whilst we also tackled the weight problems and management of my type 2 diabetes. We worked on a low carb diet ( known as the keto diet plan ), alongside the training sessions. After the 8 weeks I started to do more hours on the bike riding most morning rides fasted with only water to drink (no more gels or carbo drinks) and the weight started to come off and I was able to ride longer and harder, and my overall fitness imporved greatly. It all came together with a Audax 200 km ride, even though I had a few problems along the way I stuck with it and rose to the challenge. Now I can go in the supermarket and some people don’t recognise me! So after a short break its now down to the gym to do some strength training /running, some long hours in the saddle and work on the project for 2018 which is to ride the highland 500, so it’s onward and upward and all with the help of James Roberts Coaching, thanks James. Why did you feel the need to challenge yourself and work with a coach and have a personal training programme? I had finished my degree at university and wanted to use the time wisely rather than doing nothing or non-structured cycling. I also had thought about cycling some long distances over multiple days and felt I needed the guidance to pursue that effort to reality. By having the personal training programme, it makes me personally feel I should do the work outs even if I am feeling lazy as it has been set for me to complete. Where were you before you started working with JRC and where do you think you are now? such that I can go on a steady social ride but the speed is much higher than it used to be and I can also climb hills much stronger than before and with much more confidence. This time next year, I would like to be able to climb hills more efficiently than in 2017. Also, looking further into the future I would like to have a look at the Track cycling and explore the options available there. 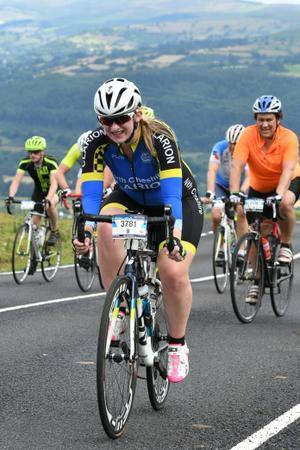 In addition to that, I would like to cycle Lands End  John O’Groats before 2020, so I would like to build up to that over the next few years with the help of JRC..